With China entered into a more conservative era known as the 'new normal', the fast moving consumer goods (FMCG) market has also bid goodbye to double digit growth. According to Kantar Worldpanel, the global market leader in consumer panels, FMCG market growth decelerated to 3.5% in 2015, hitting a 5 year low. The non-food market enjoyed relatively stronger growth - skin care and make up reported impressive gains of 12.4% and 16% respectively. Skin care – unlike make-up – has limited headroom for further buyer base expansion raising the strategic challenge of where to find continued growth. Facial mask has proven itself the ‘magic power’, contributing 41% of category growth. Over the past three years, skin care market has seen double digit growth through premiumization across categories. Yet the adoption of facial mask led to changes in consumer behaviour, e.g. more frequency purchase, more items in each shopping trip as well as mask being a top choice for gifting. Facial masks popularity is not limited to specific ages. Kantar Worldpanel Usage reports a steady increase of mask penetration in all generations. Across the top 27 cities in China, 9.4% of women aged 46-50 use masks every week, indicating mask wide acceptance. But young females remain still the main consumers - over the last two years, mask increased its penetration by 3.3 points amongst females aged 20-35, with weekly usage penetration growing from 16% to 19%.This important demographic group represents 67% of the mask users. Which mask format commands the strongest “magic power”? Sheet mask remains the most popular (90% of sales) and continues to post strong growth figures (24% in the last year). Masks with a basic hydration function grew well, while whitening and anti-age function witnessed lower growth than average. Hydration has become the must have function of masks, with other functions generally incremental. Yet it is increasingly important to differentiate beyond ‘hydration” to stand out from competition. Kantar Worldpanel Usage reveals other desirable features such as ‘skin repair’, ‘skin vitality’ and ‘skin texture improvement’. All those functions highlight anti-aging’s need as the new ‘selling point’ in communication. While most mask brand propositions are built on natural and herbal concepts, Kantar Worldpanel shows increased innovation featuring high-tech and animal ingredient concepts to build noise in the market. The most famous exponents of this being the Korean ampoule mask and animal masks such as pigskin and snail. As in the skin care market, Chinese local mask brands are leading the category growth - the likes of Hanhoo & One Leaf, with strong natural and herbal appeal, entering the top brand league in 2015. Consumers increased appetite for masks is being catered for across shopping channels. 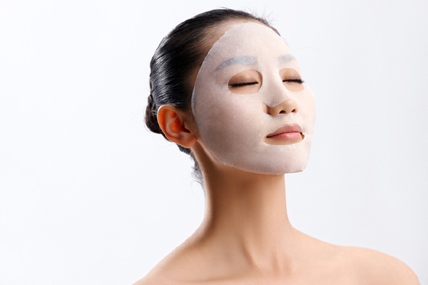 Modern trade sees consumers trading up to more premium masks, while in beauty stores shoppers buy in greater volume. Of course, as seen across industries, more and more shopper chose to buy online. In 2015, e-commerce channel reported 42% value sales growth and a 28% increase in number of brands. It is critical for mask brands to build different channel strategies in order to maximize their sales return. This should include, but not be limited to; developing premium brand presence in modern trade, distributing large pack size in personal care and cosmetic stores, while making sure they offer unique and differentiated merchandise in e-commerce stores. Brands who want to shine in a highly competitive mask market need to ensure they capture the core pillars which underpin masks appeal while also tweaking the proposition to reflect consumers thirst for innovation. Sales execution needs to feature an omni-channel strategy to cater for increased diversification at the point of sale. Kantar Worldpanel highlights the following key take-outs for mask brands who want to win over more Chinese consumers. While younger women remain focus, demand for masks extends into the pre 80s generation with opportunities for range development addressing their functional needs. Simplify the function but innovate on ingredient–high quality 'skin repair and improvement' will become the new selling proposition. Create new purchase occasion motivations for mask, for example innovate on package design and consumer communication to make mask top choice of gift. Develop insights on purchase behaviour and motivations online and offline to build a differentiated omni-channel strategy.